Happy Friday! 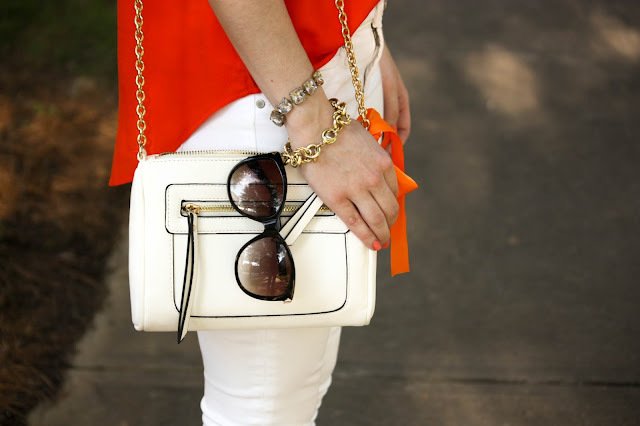 Today is the first of three posts styling orange for football season! 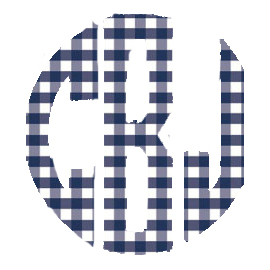 I have mentioned this a few times before, I did not go to Clemson University myself, but I have grown up going to their games and still go to a few every season. This is because my dad went there, 3 of my cousins have more recently gone there, and my brother is a current student there. So I'm just the black sheep of the family that didn't become a tiger...but I still cheer them on! I have teamed up with a lovely group of bloggers (that you can find below), who are also going to be styling orange for their schools today. 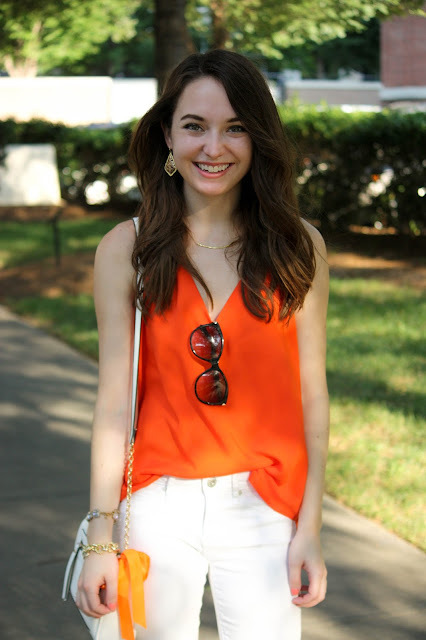 So if you are a fan of a school with orange in their colors, we hope to help you out with some outfit inspiration! I love how bright this top is! How cute! I think I need those Jacks! Such a cute game day look! I love your top! 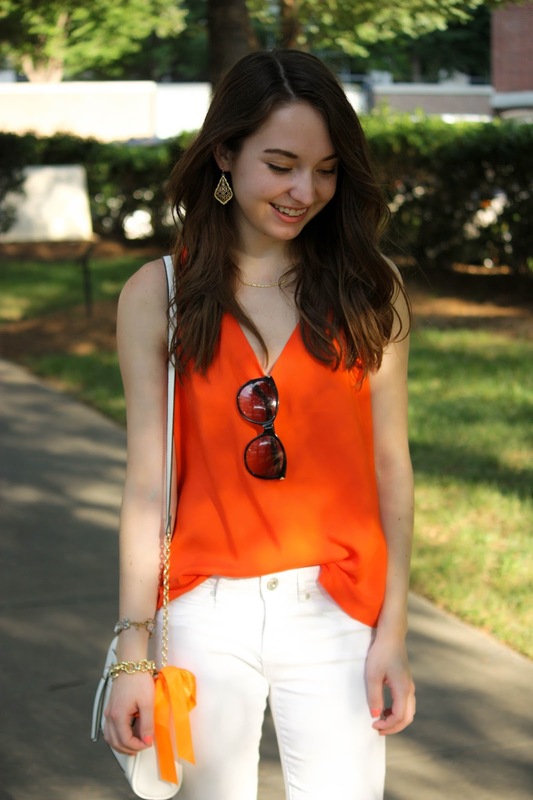 Finding the perfect Clemson orange, especially for a cute outfit, is so hard! You've pulled it off perfectly. Go Tigers!